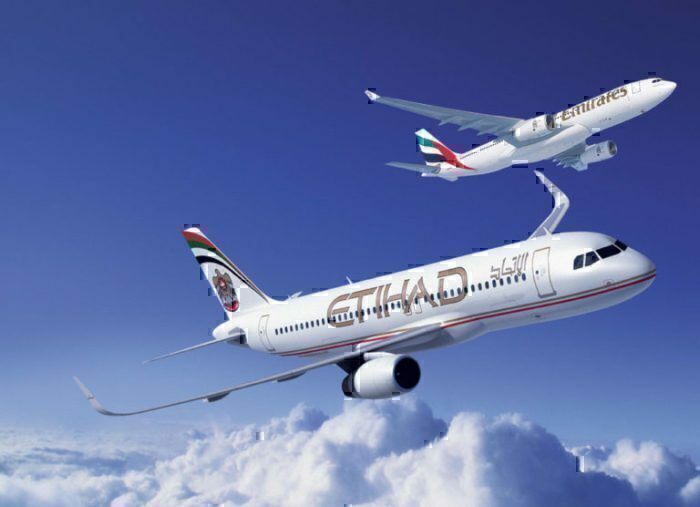 Emirates Economy vs Etihad Economy – What Airline Is Best? Out of the three major middle east airlines that operate international, no relationship is as strange as that of Emirates and Etihad. Both come from the UAE, both have some of the best first class and premium cabins in the world and both operate vast fleets of international roaming aircraft. They are so similar that they infact might be merging sometime in the near future, going as far as having talks last year. But which is better. Say for example you wanted to fly the class Sydney to London kangaroo route what would you choose? And if you wanted to save and fly economy, which would be the better choice? To decide on an ultimate “winner” between these two airlines’ economy sections, we’ll take a look at a wide range of features that each offers. We’ll compare Etihad’s and Emirates’ economy fares, seating, customer service, food and drink, and inflight entertainment and technology to determine the winner. Recommended: Before you begin, check out our Best Travel Rewards Credit Cards Comparison and see how much you could earn on your next trip! Etihad is currently running a promotion on flights for this route and this is not the normal pricing. Overall it seems like Etihad is monitoring Emirates pricing and trying to undercut them where possible. However, the two airlines are practically comparable. Etihad and Emirates Aircraft. Photo: Simple Flying. But what about seats? Which of the two airlines have better economy seats? Let us look at the raw statistics first. From the raw numbers it looks like Emirates just edges ahead, but by a different, that is practically unnoticeable. The best way to understand the difference in customer service on both these airlines is to look at their rating on Skytrax. Neither of these two has the coveted five-star rating, but maybe one is better than the other. 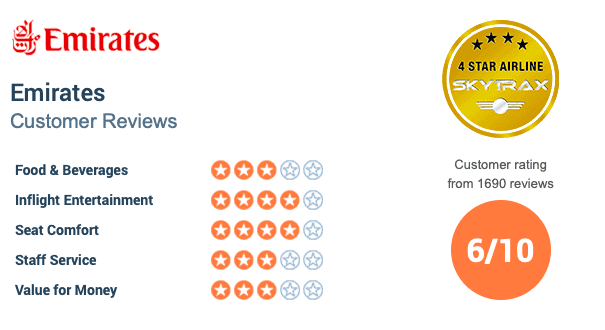 Emirates seems to just edge ahead (even with 400 more reviews) and thus is the better overall experience according to reviewers. With meals on board, it will really be a matter of each to their own. Emirates’ food menu is inspired by regional flavors and spices, with meals served on each flight that reflect the local culture. A flight to Australia or New Zealand, for example, might feature minted lamb sausages with mashed potatoes and vegetables, while chicken with caramelized plums or lamb Brochette with Arabic spices might be the main course on a flight in the Middle East. Emirates also serves specially made kids’ and baby meals on colorful trays, as well as snack boxes made especially for younger flyers. Etihad has a different approach when it comes to meals and drinks on board. Whilst they do offer the same range of specialized meals depending on how passengers dietary requirements, Etihad actually offers way more food than you might need. Not only would the average flight have two main meal services, but they also feature two small snack services and a larger snack for midflight. Plus, there is additional food at the rear of the plane (for passengers to self serve) at any time. Lastly, drink service is conducted three times during meals (before, during and after) ensuring that you have plenty to drink. This attention to detail on one of the more frustrating aspects of flying is pretty great in our books. Let’s wrap up this comparison with a look at the two different entertainment options on board. Emirates’ entertainment system, ice, has won countless Skytrax awards for its best-in-the-business features and has been voted the best around for 13 consecutive years. And for good reason: With 4,000 ‘channels’ of movies, TV, music, and games, in addition to podcasts, radio shows, kids’ channels, and live sports and news, Emirates’ entertainment is truly top-notch. Emirates also has easy-to-reach power outlets in most economy seats. On the standard economy seat, Emirates screens are 13.3 inches. Etihad has a very similar offering, with the latest movies and television shows on demand. However, they seem to be lacking the solid range that Emirates has on offer. But if you are flying and only watching the latest movies, does it really matter? Etihad screens are only 11.8 inches big and are slightly slanted. In terms of Wi-Fi, the first 20 MB of Wi-Fi (for two hours after login) are free on Emirates. After that, up to 500 MB of data will cost you extra. Most, though not all, Etihad flights also have onboard Wi-Fi for a fee. Looking over all the information presented by the two airlines and their various reviews, I think a clear winner does appear. Emirates has better service, more entertainment, bigger seat and free wifi (for the first 20mb, which is a few emails). Despite Etihad being a little cheaper, Emirates seems to be the better experience. A correction to what you stated. 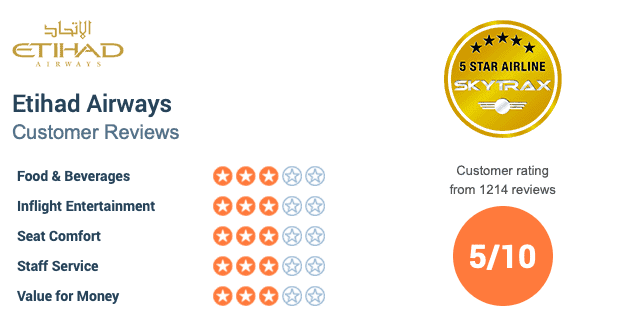 Etihad actually does have the coveted Skytrax five-star rating but I agree that Emirates is the better option. Because it’s via Dubai/Abu Dhabi. 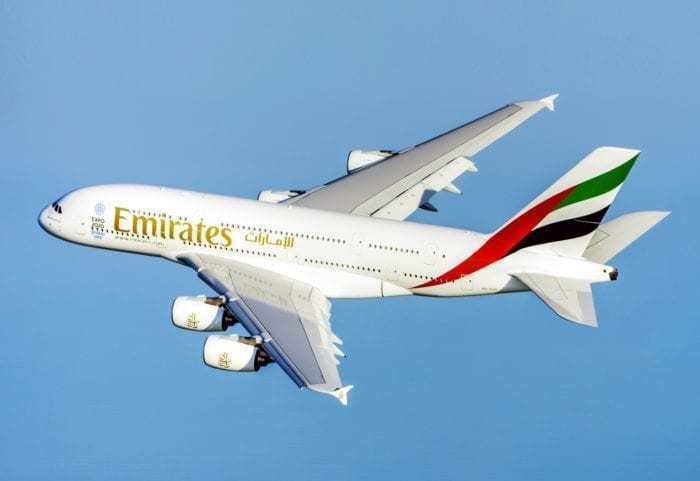 I used both airlines many times and I prefer Emirates as they are clearly the better of the two.